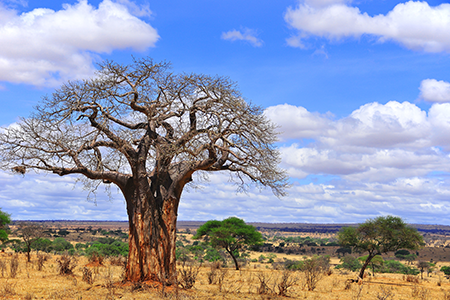 Researchers from Stanford University published a paper in Science titled "Seasonal cycling in the gut microbiome of the Hadza hunter-gatherers of Tanzania" which examines the relationship between diet, seasons, and the microbiome. The authors performed a longitudinal study on 350 stool samples collected throughout a year and a half and found that the microbial population in these samples changed in composition from wet to dry seasons as well as corresponded with changes in diet. As hunter-gatherers, the Hadza rely on their environment for all sources of nutrition. They are therefore subjected to changes in diet when their source of food changes throughout the seasons. In the central region of Tanzania where they reside they experience two distinct seasons: wet (November to April) and dry (May to October). During the wet season foraging is common for the Hadza, while in the dry season hunting is the primary source of their nutrition. When comparing the microbial samples from the different periods throughout the year, it was noted that the levels of some bacterial species fluctuate while others remain constant. Certain species of bacteria, like the Bacteroidetes, are present in samples taken during the dry seasons, but their levels declined significantly during the wet season. The Firmicutes, by comparison, existed in similar levels year-round. When comparing this data set with data from modernized populations, specific differences are present. Specifically, the fluctuation of bacterial species in the microbiome is not seen in the developed world, suggesting that industrialized society could be the reason why microbiome taxa do not change in those samples throughout the year. This study provides further evidence of the impact of diet and a Western lifestyle on the gut microbiome and suggests that microbiomes in modernized society have lost some species of dynamic bacteria.